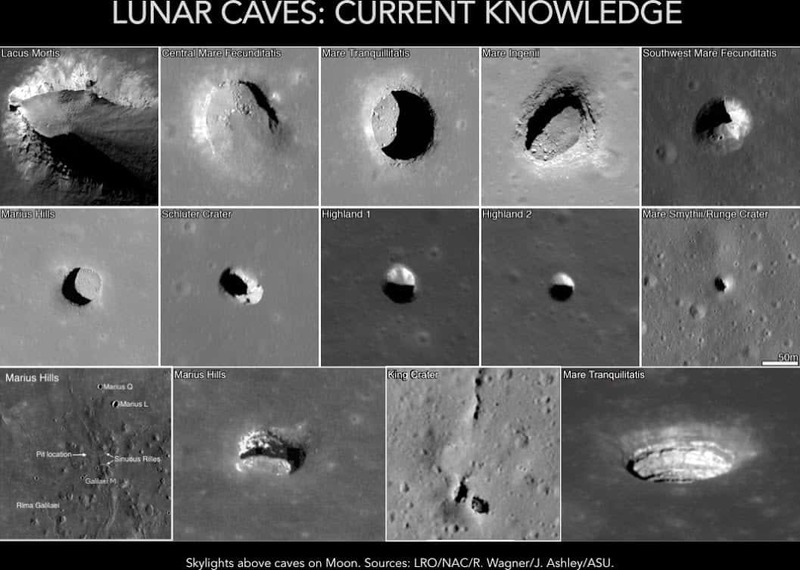 Since “lunar spelunking” expeditions aren’t coming soon, the challenge is how to confirm the existence and dimensions of these caves with current remote imaging. A unique imaging technology being developed at the Morgridge Institute for Research is providing NASA with an interesting and relatively inexpensive way to explore these out-of-sight features. The system sends a pulse of laser light off of a wall or surface and into a non-visible space. The scattering photons from the laser bounce off obstacles and make their way back to sensors in the camera. The dimensions of that unseen space are then recreated based on the time-stamp of the photons that scatter back to the camera. This technology is included in the NASA PERISCOPE Project, which seeks to illuminate some of the more than 200 suspected lunar caves lurking under skylights. The ultimate goal is to include the technology on a satellite that orbits the Moon at close range, directing laser pulses into suspected cave openings. The project is led by Jeff Nosanov, of Nosanov Consulting in Bethesda, Md. The existence of lunar caves carries some enticing implications for planetary exploration, says Velten. Even cooler are the implications for future manned missions to the Moon. Assisted by chemical engineering undergraduate Jessica Zeman, Velten completed a first phase using cave models this summer, and is beginning a second phase of field trials funded by a two-year, $500,000 NASA grant. Lava tubes created by volcanoes exist on Earth and are common in places like New Mexico and Hawaii. These tubes leave behind caves when the lava recedes, and they should provide Velten with geologic features comparable to the Moon. “These are likely much bigger than what we would encounter on Earth,” he says. 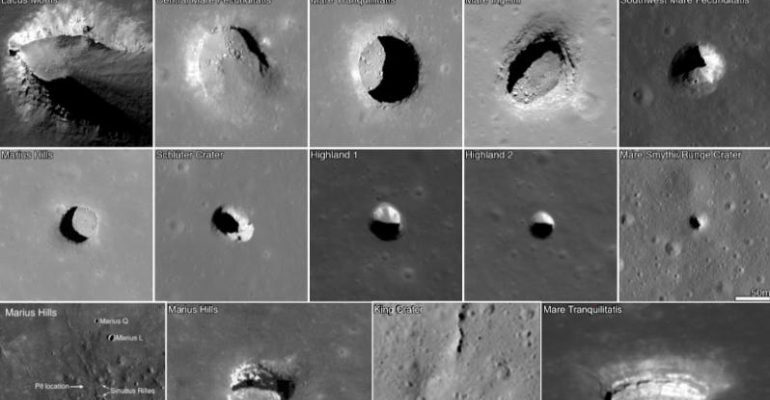 NASA has been interested in lunar subsurface exploration ever since the Lunar Reconnaissance Orbiter discovered cave skylights in 2009. The most important first step is to identify caves that are open and have features most worthy of future exploration. If Velten’s technology can identify those, the next step may be robotic exploration. The NASA Jet Propulsion Laboratory in Pasadena is developing robotic rovers that could investigate such caves. The rovers have a number of arms with small, sharp hooks, like cockroach arms, that would allow them to grasp rock and climb into cave walls and ceilings. 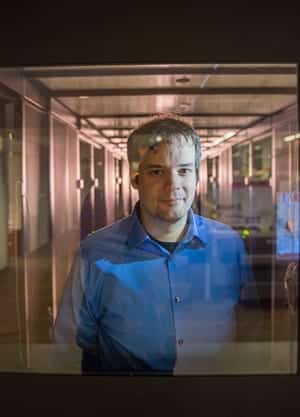 Velten’s imaging technology, also known as a “trillion-frame-per-second camera,” was first developed at the Massachusetts Institute of Technology (MIT). At Morgridge, Velten is developing new potential directions for scattered light imaging, including less invasive imaging of difficult to observe parts of the human body. Image provided by Jeff Nosanov, Nosanov Consulting in Bethesda, Md.